CHITWAN, Sept 6: A rhino that had sustained six bullet injuries on August 20 died Tuesday while undergoing treatment in Chitwan. This marks an end of the zero-poaching of rhinos that the country has enjoyed for the last two years. The rhino was found critically injured in jungles near the Chure hills in Rautahat district about 17 days ago. The incident attracted headlines and a huge amount of sympathy inside and outside the country. The rhino was taken to Sauraha in Chitwan for treatment, but it has eventually succumbed to its injuries. 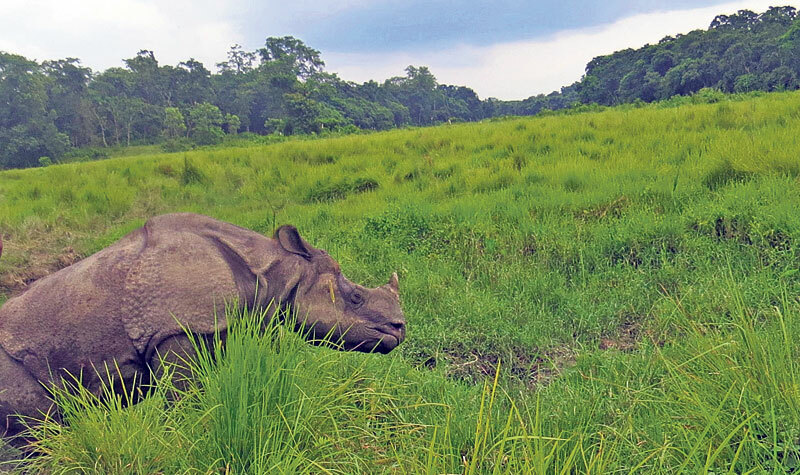 “The rhino was recovering well, but in the end we could not save it,” said Narendra Aryal, assistant conservationist and information officer at the Chitwan National Park (CNP) wildlife sanctuary. According to Ram Chandra Paudel, chief conservation officer at CNP, the rhino had started grazing on its own without any help. So park officials and workers were taken aback Tuesday morning when the rhino failed to even budge. 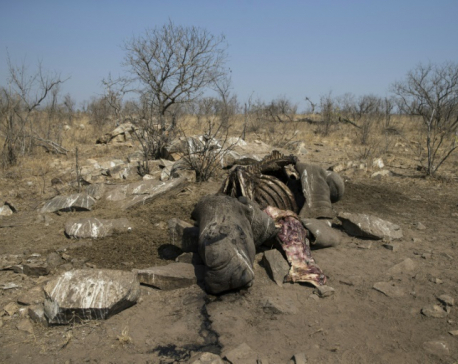 Soon after, the CNP declared the rhino dead. “The Department of National Parks and Wildlife Conservation and the Central Investigation Bureau (CIB) of Nepal Police have already deployed teams to investigate the case,” said Paudel, adding that they would beef up security for wildlife. Nepal’s one-horned rhinos are poached for their horns, which fetch a huge price in the international market. Huge demand for the horn had led to increase in poaching. At its peak, poaching of the one-horn reached up to 37 rhinos a year. The situation gradually changed for the better after CNP and the Nepal Army increased their surveillance and local communities also cooperated with the authorities to fight off poaching. The poaching gradually decreased and they were able to maintain zero poaching of the endangered animal since May 3, 2014. Under existing law, those found guilty of killing rhino can be slapped fines ranging from Rs 50,000 to Rs 100,000 or jail terms of five to 15 years, or both.